Exploring Short Deck Hold'em: A look at tournament structures and the future of the game. To conclude our short deck hold'em series, a look at the rise of short deck tourneys & their future. 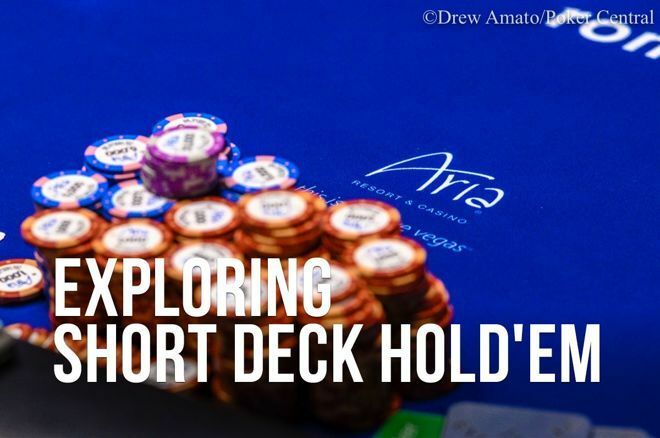 Over the course of the past two-plus months, we've looked over different aspects of short deck hold'em in an attempt to begin and accelerate the learning process in this young game. We've covered the rules, the odds, strategies for both preflop and postflop play, and examined hands played by some of the best players in the world. Today, we'll wrap up the series with a look at some industry experts' thoughts on the longevity and sustainability of the format in the modern poker scene, particularly through the lens of tournament play. While short deck has slowly filtered further into the poker mainstream after originating in highly private, nosebleed-stakes cash games in Asia, there's no question one venue has been a step above the rest in encouraging and nurturing its growth — ARIA. Not only has ARIA introduced short deck into its high-stakes tournament series Poker Masters and U.S. Poker Open at the PokerGO Studio, but short deck events routinely run in the $200 price range in the main poker room. To figure out how and why ARIA has been at the forefront of short deck's expansion, PokerNews corresponded with Sam Simmons, president of Poker Central, which runs the made-for-streaming events at the studio. Simmons says short deck is a natural fit for TV in more than one way. 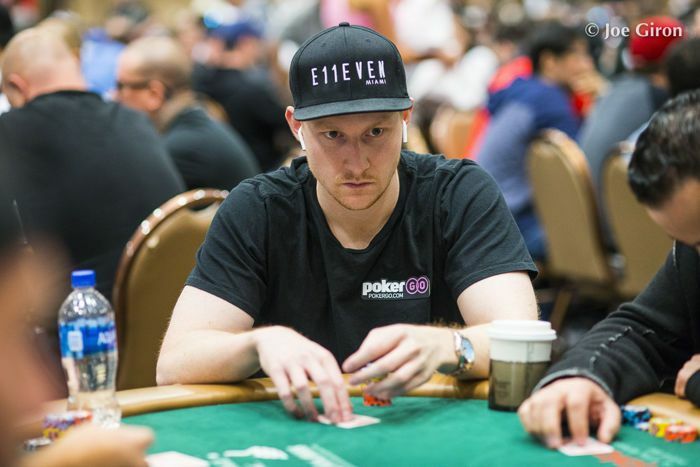 "Not only is the game exciting with high variance and drastic swings, but short deck events allow PokerGO viewers the opportunity to watch the best poker players in the world attempt to 'solve' this relatively new variant in real time," Simmons explains. Simmons expects short deck to have a place in poker's future. ARIA has reached back into the old school for their tournament structure in the high-stakes events, introducing a "triple chance" format that gave players three starting stacks with the option to play as many as they wanted at a time. Players could choose to hold one or two stacks in reserve up until the close of registration, at which point they'd automatically come into play. When the World Series of Poker announced a short deck event would be included on the 2019 schedule, they followed this lead with a 30,000 stack and a 30,000 add-on. In practice, the reasoning would seem to be that because it's frequently correct to get stacks in — recall that equities in short deck are very close — operators don't want players to have a miserable experience of sitting down, getting all in and busting, then reentering over and over. Isaac Haxton told PokerNews he's a fan of the triple stack, and Simmons says the feedback from the tournaments has been "immensely positive." Haxton says he definitely sees short deck as a viable tournament game. Like Somerville, he equates it to PLO but points out it actually has some advantages. "It has some things in common with pot-limit Omaha with closer equities leading to weird bubble play," says Haxton. "But in contrast to Omaha at least you can go all in, which mitigates some of the really severe punishment that shorter stacks take on the bubble. They can at least put all their chips in the middle rather than open and either get flatted or three-bet and have to play from there." While Somerville said on a recent appearance on PocketFives' podcast The Fives that he feels short deck is the future of poker, not everyone is so rosy about its outlook. Kane Kalas, serving as commentator for the Patrik Antonius Poker Challenge, said that because there are fewer cards in the deck, he sees the players who really dive into the game solving it more quickly than no-limit hold'em. As a counter to that, Somerville points out that the frequency of multi-way pots makes the game deeper than it at first appears. Meanwhile Haxton says the biggest issue he's seeing so far is the structure of registration and starting stack depth. "I think that at some point there's going to be a shift towards closing registration earlier in short deck tournaments," says Haxton. "I think right now, you can enter and the tournament's in the money an hour later. The late registrants are getting a decent advantage there. I think short deck tournaments are going to shift toward starting deeper and closing registration earlier to mitigate that." Simmons says Poker Central remains committed to short deck, and he has high hopes for the game. "As short deck becomes more mainstream with lower buy-in price points allowing additional players greater access to the game, we expect it to become one of the core variants across the poker calendar at a variety of stakes," he says. "We expect the game to be a staple of PokerGO live events for years to come." If Simmons and Somerville are right, then short deck will be coming to a card room near you. Maybe sooner, maybe later, but eventually, poker players everywhere may have access to this increasingly popular game. Hopefully, when that day comes, this 10-part series has helped give you a solid base of knowledge as you begin your own journey in short deck.